A new daily hydrator that instantly combats fatigue, visibly corrects first signs of ageing, and defends against modern aggressors for a more youthful appearance. Reveals a more youthful appearance with anti-oxidants and a potent “pollution shield” to help defend against pollution/PM2.5, dust, and pollen that can also lead to signs of aging. Multi-layered defense technology – including sunscreens, repair enzymes, and a unique "Superfood Blend” – fight modern aggressors like UVA/UVB, Infrared (IR), Blue Light, pollution, pollen and dust that can tire skin and accelerate aging. 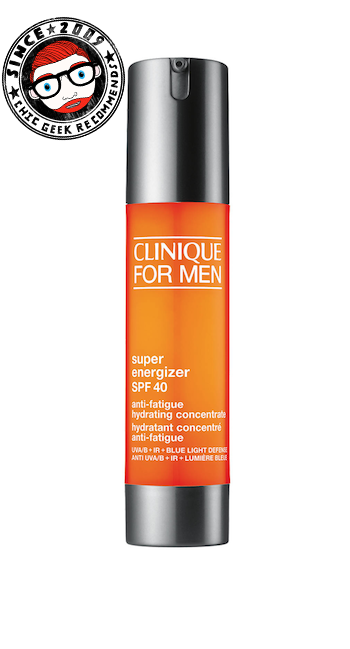 TheChicGeek says, “This is the direction men's grooming is going in: higher and higher lightweight SPF protection. I was really hoping this would be in a gel format, like - Tried & Tested Clinique Dramatically Different Hydrating Jelly - but it’s a standard white moisturiser. French colourist, Christophe Robin, has worked with Kylie Minoque, Tilda Swinton, Catherine Deneuve and, historically, the 90s Supermodels’ hair colour. 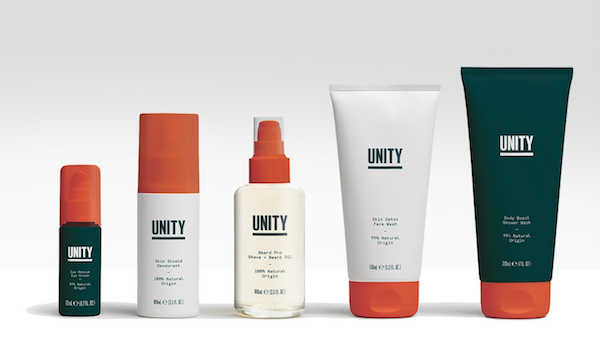 This is his men’s product. 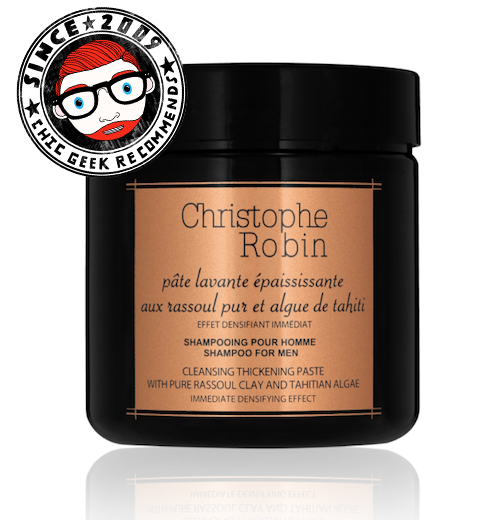 It’s a shampoo with rassoul clay - draws out impurities a bit like a face mask - and Tahitian algae, which is very nutrient-rich, so great for strengthening and thickening hair. 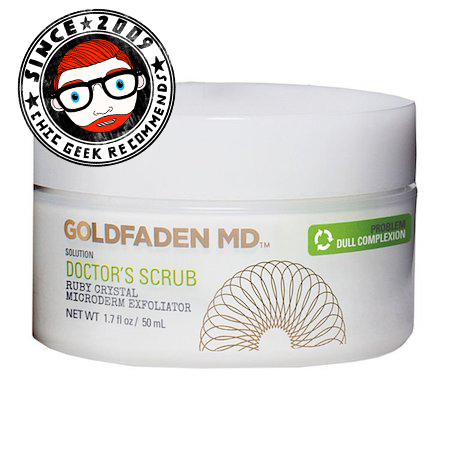 TheChicGeek says, “This is a real treat. While the colour and texture looks a little disconcerting - you’ll know what I mean when you see it - it’s very thick and brown. It’s like a nutty chocolate spread. It quickly foams up into a shampoo. With 95% natural-origin ingredients, it is concentrated with pure rassoul clay. Rich in minerals, it is said to gently absorb impurities that suffocate the scalp and immediately brings fullness and body to the roots. Forget Christophe Robin, I felt more like Pooh Bear dipping my hand in the honey pot using this. It’s a jar, so needs a juggling act in the shower, but this feels expensive and rich. You don’t need much, maybe a large pea size and it states there are around 30 applications in the jar, so is expensive. This feels really thick and indulgent, there’s not a particularly strong smell, though it does say a blend of woody notes and amber. I didn’t find it particularly thickening, but then my hair is really thinning. I think you need that bouncy, curly, French boy hair like Timothée Chalamet - here to make it work!" 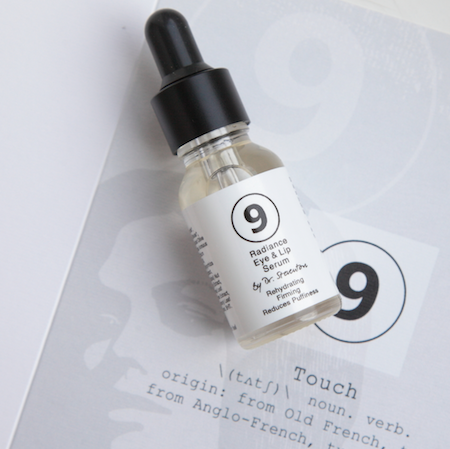 Suitable for all skin types, 9 is a light satin-feel oil-based serum for the delicate eye and lip area. It is formulated from a unique blend of four modified plant oils (Coconut, Olive, Kahai and Echium) and high levels of five scientifically substantiated active ingredients that are proven to reduce puffiness, re-hydrate and firm the eye and lip area. Ingredients include marine micro-algae (CF) to smooth out the appearance of lines, geranylgeranone to promote cell longevity, liquorice (GG) to brighten, induce radiance and for even skin tone, aloe leaf to gently hydrate, soothe and reduce puffiness and poppy to firm the delicate areas. TheChicGeek says, “The queen of facial massage, Steventon is quickly become the go-to for anti-ageing serums. This targets the eyes and lips and is, as always, not just about applying the product, but also taking time and massaging the targeted areas. (I’m not very good with this and feel like I need a dressing table and half an hour to really do this justice). You need very little, just one drop each, for both the eyes and lips. Warmed in your palm and gently patted onto the areas, this is fragrance free, but you’re inclined to add more, as a drop doesn’t seem like enough. I was conscious of it on my eye area for sometime after application, and, while not uncomfortable and heavy, it was a continual reminder. I wondered if I’d put too much on, but any less and you feel like you’re not really applying anything? I think this is a long term product, and I like the way its for eyes and lips, which are the most delicate areas. It's about learning a routine and religiously sticking to it. I don't suffer from any dark circles and puffiness around the eyes so I can't report any noticeable differences, in the short term anyway."